Standing outside Trump International Hotel in New York City, presidential candidate Sen. Kirsten Gillibrand held a campaign kickoff rally where she demanded that the Robert Mueller report be released to the public. “The stakes of this just got higher on Friday,” said Gillibrand, D-N.Y., about the day special counsel Mueller delivered the report on the investigation into Russian interference in the 2016 presidential election to Attorney General William Barr. 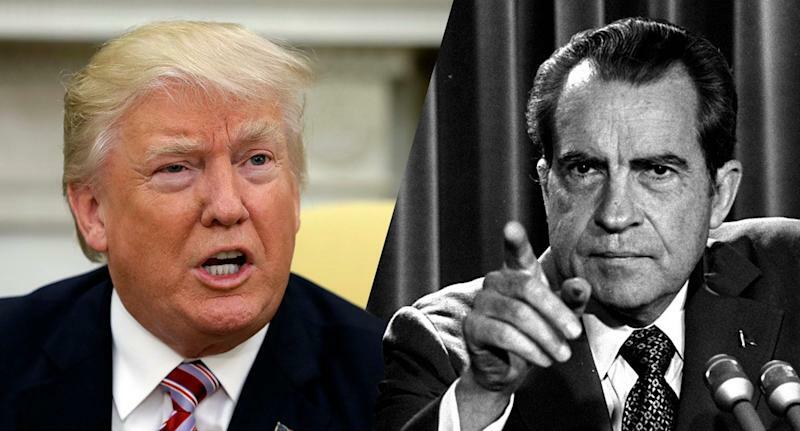 Nixon resigned less than a year after making this appearance at Walt Disney World in Orlando, Fla.
Trump, who has said there was no collusion with Russia at least 231 times, has been unusually silent since the report’s handoff from Mueller to Barr. Barr is expected to release his “principal conclusions” of the report to Congress and the public Sunday afternoon. Gillibrand is one of the few candidates taking direct shots at Trump. Former Rep. John Delaney D-Md., referred to Trump as a bully he wouldn’t hesitate to challenge in 2020.